Drawing links between sport and the larger cultural and political ethos of a nation can often be tenuous and far-fetched. 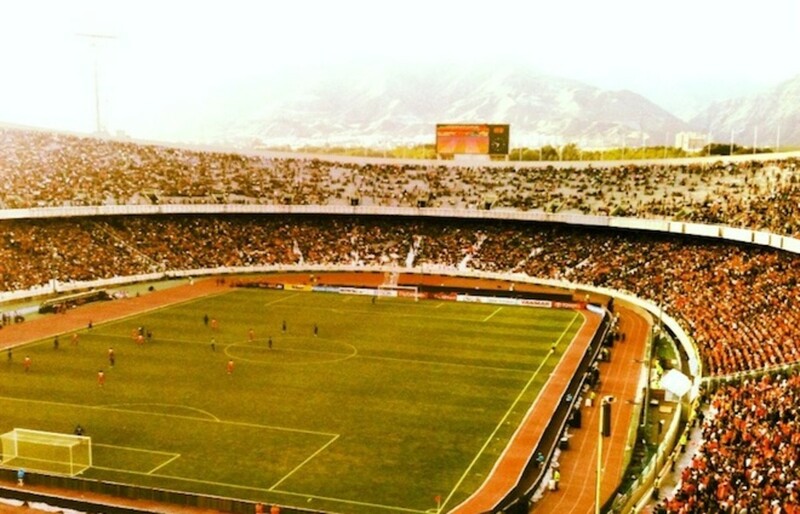 But, in Iran, when soccer returned to the hub of social life in the late 1990s, it served, as David Goldblatt wrote in his book, The Ball Is Round: A Global History of Soccer, as a “rallying point for opponents of the conservative elements in the theocracy.” Tehran’s national soccer stadium, built in 1971 and which can hold more than 100,000 people, is called “Azadi,” meaning “freedom” in Farsi. But ever since the 1979 revolution, which saw the Islamisization of the nation, women were altogether prohibited from watching soccer at Azadi. The boisterous celebrations following the team’s victory in Melbourne, therefore, served as much as a means to help break such shackles as it has to entrench a new form of expressing not only joy but also political protest in the country. Next month, when Iran plays in the 2014 World Cup in Brazil, its matches will reverberate in significance well beyond the soccer pitch. This multiculturalism is in some ways already a victory—an expression of a hope that the country’s soccer team can transcend Iran’s strict moralistic code. SOCCER CAME TO IRAN, as it did to so many other parts of the world, through British and Western colonial influences. But the sport is so entwined with the country’s socio-cultural growth that, as Franklin Foer wrote in his book, How Soccer Explains the World, “the history of modern Iran can be told as the history of Iranian soccer.” While Western influences helped in introducing the sport to Iran, its promotion had much to do with its monarch Reza Shah, who had assumed power as the Shah of Iran in October of 1925. “He legislated that men trash their robes and don proper western suits,” Foer wrote. “To make a modern nation, he wanted to create a modern Iranian man who understood the values of hygiene, manly competition, and cooperation.” Soccer, Reza Shah found, could help instil such Western values in Iran’s men. To him, the sport was a symbol of modernization, so much so that he ordered the razing of mosques to make room for soccer grounds. In 1947, the country’s national soccer federation was established under the reign of Mohammad Reza Pahlavi, Reza Shah’s son, who valued the sport as a fervent pursuit—as a pastime that he loved—beyond seeing it as a tool to advance modernity. By the 1960s, with the burgeoning of television coverage, soccer had come to represent a passion for the Iranian people; to them the sport was a quixotic pursuit, which would allow them closer access to the Western world. The Iranian team won the Asian Cup three consecutive times—in 1968, 1972, and 1976—but it was the first of those victories that marked a watershed moment. 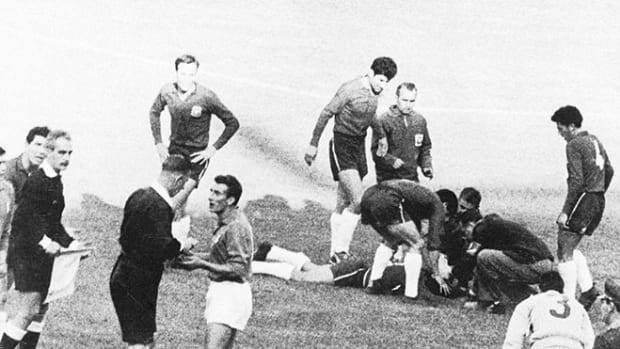 In the finals of the 1968 Cup, which was hosted by Iran and boycotted by many of its Arab neighbors in protest of Israel’s Six-Day War in 1967, Iran met Israel in a feisty match, which saw swathes of zealous Iranians hurl anti-Semitic chants at their opponents. Iran’s 2-1 victory, as the historian Houchang Chehabi reported, had made soccer a mass phenomenon in the country. When the Revolutionaries took over Iran in 1979, they saw soccer as a product of the destructive modernization program instilled by Reza Shah. But while the new regime was successful in stymieing the growth of pop culture and other major forms of entertainment, any efforts to quell soccer, they found, would alienate precisely those people whose support was crucial to the government’s stability. 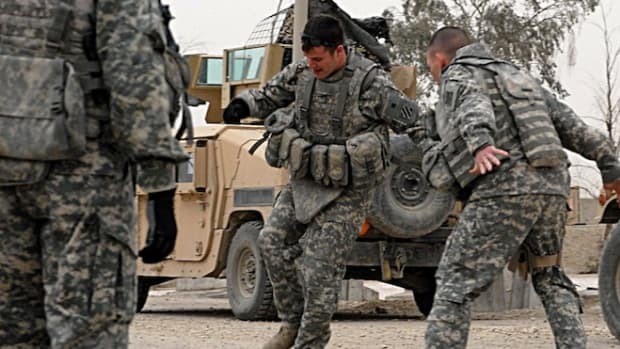 Yet, in the midst of an eight-year-long war with Iraq that began in 1980, the Iranian government offered little support to its soccer team. What’s more, it nationalized the country’s domestic club-teams, took efforts to delay transmission of soccer matches on television with a view to censoring any anti-governmental sentiment emanating from the crowd, and banned women from watching soccer altogether. These didactic decrees ultimately led to the outpouring of emotions in the aftermath of Iran’s qualification for the 1998 World Cup Finals. In fact, when the team returned from Melbourne, its members were greeted at the Azadi by hordes of supporters, including many women, who had broken the Mullah’s express commands. Only months before the play-off against Australia, Iran held a presidential election. While the conservative candidate Nateq-Nouri appealed to leading Iranian wresters for their support, the reformist cleric Mohammad Khatami, who declared that Islam could co-exist with liberal values, lent on the country’s soccer stars. The sport, in Khatami’s eyes, was inherently modern; he saw it, as many of the Iranian people did, as a link to Western, progressive culture. Khatami went on to win the election. In France, Iran was drawn in a group that included, among others, the United States. Iran failed to qualify to the knockout round, but the team’s 2-1 defeat of the Americans was met with particular jubilation in Tehran. Yet Iranian television, as Foer reported, did not shoot any footage of the actual crowd at the World Cup. The country’s government feared that dissident messages from a group called the People’s Mujahideen, who had threatened to fill the stadium in France, would carry through to its subjects. Iran’s religious hierarchy, it appeared, remained deeply suspicious of soccer’s supposedly pernicious influences. But the sport would continue to serve, well beyond the 1998 World Cup, as an important instrument of political struggle in the country. MAHMOUD AHMADINEJAD, WHO SUCCEEDED Khatami as president in 2005, understood the unique place that soccer occupied in the country’s ethos. In fact, almost immediately after occupying the presidency, Ahmadinejad passed a law allowing women to attend Iran’s soccer matches, only to be overruled by the country’s religious supremo. Despite this initial effort at support, the sport, as it had in the past, continued to serve as an expression of a larger dissidence against Ahmadinejad’s rule. On June 17, 2009, shortly after Ahmadinejad’s heavily disputed re-election, six players of the Iranian national team donned green wristbands, the color of the defeated reformist candidate Mir Hossein Mousavi, during the country’s crucial 2010 World Cup qualifier against South Korea. After the game in Seoul, there were reports of rallies in Tehran, with protestors apparently holding aloft pictures of the six players. Since then, Ahmadinejad continued to invest heavily, even if only as an outward show of support, in the fortunes of the Iranian soccer team, even addressing the players, ironically, before another World Cup qualifier against South Korea in October of 2012. Now Iran has a new president, the moderate Hassan Rouhani, but the initial optimism that greeted his victory (marked almost with as much style and pomp as the ’98 World Cup qualification) has waned. The political climate in the country remains as charged as ever. The national team’s Portuguese coach Carlos Queiroz, who has coached both the South African and Portuguese national teams in the past, apart from a brief spell as manager of Real Madrid, the current European champions, is tactically astute, seemingly both on and off the field. Queiroz, who will be assisted in Brazil by the American Dan Gaspar, has fashioned Iran into a defensively solid team that is particularly hard to score against. Clubbed with Argentina, Bosnia-Herzegovina, and Nigeria, Iran’s chances of progressing into the knockout stages are unlikely if not unfathomable. But Queiroz has been particularly clever in searching through Iran’s diaspora across the world and has called up players such as German-born Ashkan Dejagah, The Netherlands-born Reza Ghoochannejhad, and San Jose-born Steven Beitashour into the Iranian squad. This multiculturalism is in some ways already a victory—an expression of a hope that the country’s soccer team can transcend Iran’s strict moralistic code. If the team manages to upend expectations, as history has shown, Tehran’s people will ensure that it does not go unheard. 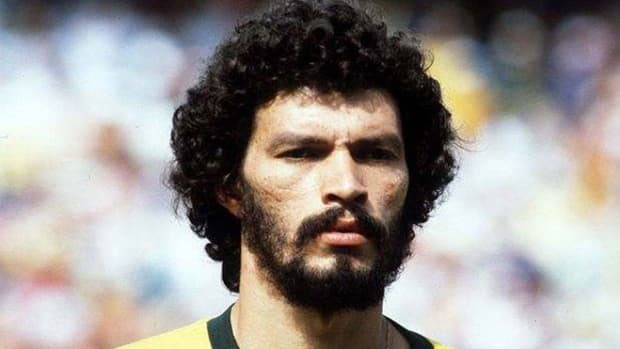 Unlike many of the great Brazilian players, Sócrates, who didn't become a professional until age 24, remained an outspoken political voice up until his death three years ago. At games for the U.S. National Team, fans brag about being back-to-back World War champs. They're being less sarcastic than they realize. 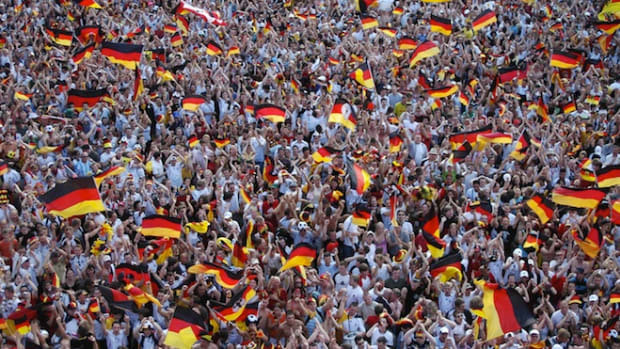 In a country where immigrants haven't always been welcome, politicians champion Die Mannschaft as an integrated model of diversity. 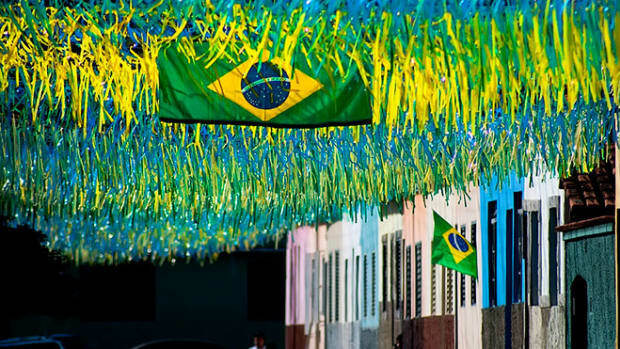 How Does Immigration Affect the Teams at the World Cup? The number of immigrants in a country doesn't seem to have an effect on how diverse its national team is. If anything, it appears that ethnic and racial minorities get pushed toward soccer.